Motorcycle Accident Lawyer explains how long you have to file a motor vehicle accident claim before it expires – Kentucky’s Statute of Limitations. If you have purchased no-fault insurance on your car, motorcycle or truck, then generally, you have 2 years from the date of death or injury or the date of your last no-fault payment, whichever is later, to file your lawsuit. To be safe, you should think of the statute of limitations as being 2 years from the date of the accident. 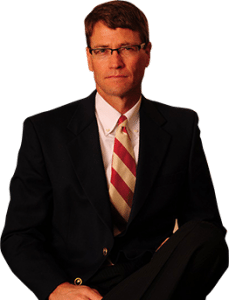 If you have a significant injury, you should contact Motorcycle Accident Lawyer Matt Troutman of the Troutman Law Office to monitor your statute of limitations and to allow for proper investigation, maximization of insurance benefits and effective presentation of your claims. 4. If your claim is a products liability claim (defect in vehicle causing accident), then you may need to file in one (1) year from date of accident. 5. Loss of Consortium claim is not covered by no-fault statute and, thus, must be brought within one year from date of death or accident. 6. Uninsured Motorist Claim and Underinsured Motorist claim are governed by the no-fault statute and at a minimum have no-fault statute of limitations(KRS 304.39-320(6) of two-years from the date of the last no-fault payment). If the policy states a statute of limitations less than as provided in KRS 304.39-320(6), then the 10 year statute for written contacts (KRS 413.090) will control. As you can see, the answer to the question of how long you have to file a personal injury claim due to a motor vehicle accident in Kentucky can be complicated, which is one of the reasons you need to consult with Motorcycle Accident Lawyer Matt Troutman of the Troutman Law Office as soon as possible after your accident. You can call Matt directly for your free case evaluation or by email at troutlaw3550@gmail.com or click here.